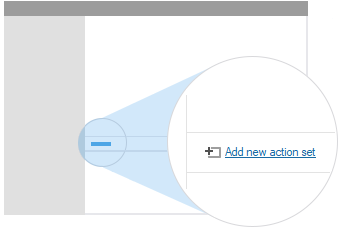 With the help of Business Rules, Scheduled Tasks and Custom Commands, you can automatically add or remove Active Directory objects from groups. The standard way to do it is to use the Add to Group and Remove from Group actions. For details, see Automate Group Membership Management. However, when the number of groups you need to manage is large, or when the rules for group membership are complex, to automate the process you will need to create a bulky structure of many actions and conditions that is hard to maintain and update. To avoid it, you can create a single action that will add and remove objects from groups using a PowerShell script. To execute a PowerShell script in a Business Rule, Custom Command or Scheduled Task, you need to add the Run a program or PowerShell script action to it. 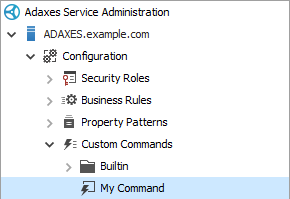 Launch Adaxes Administration Console and select a Business Rule, Custom Command or a Scheduled Task. To open the script editor, click the Edit button. If a script is executed in a Business Rule and its execution may take a long time, it is recommended to run the script asynchronously. To do it, select the Execute asynchronously option. To get the properties of the Active Directory object which the script is executed for, you can use value references (e.g. %username%). Before executing the script, Adaxes will replace the value references with corresponding property values of the object. Also, to get the object properties you can use a variable called $Context. It is a predefined PowerShell variable of type ExecuteScriptContext. For more details, see Server-Side Scripting. $salesStaffGroup = Get-AdmGroup "Sales Staff"
$newYorkGroup = Get-AdmGroup "New York Office"
Scripts in this article use PowerShell cmdlets from Adaxes PowerShell Module. To run the scripts, you need to install Adaxes PowerShell Module on the computer, where your Adaxes service is running.